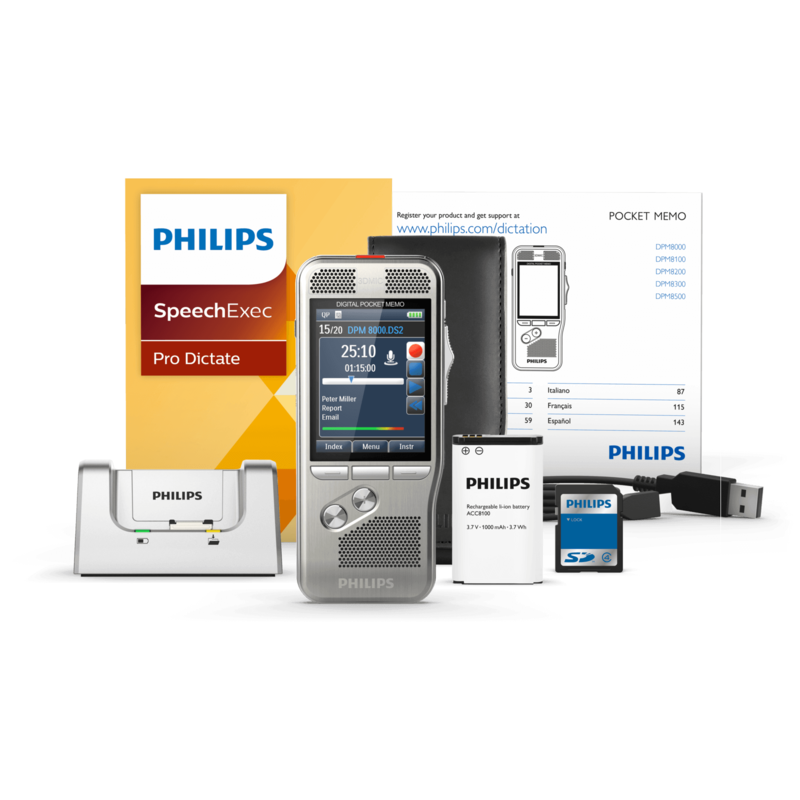 Philips exceptionally versatile and oh-so-easy-to-use DPM 8000 digital dictation recorder is paired with the LFH-7277 Digital Transcription Kit, for a complete dictation and transcription package. 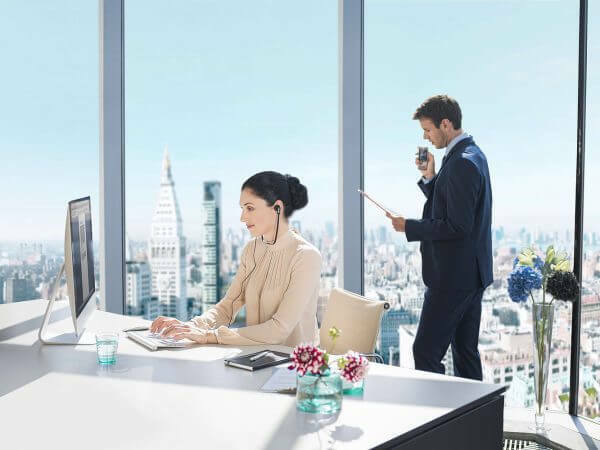 This Professional dictaphone is packed full of user-friendly functions you’ve come to expect from premier Philips products, with some added extras including the addition of “3D Mic technology” and a built-in motion sensor for automatic microphone selection. 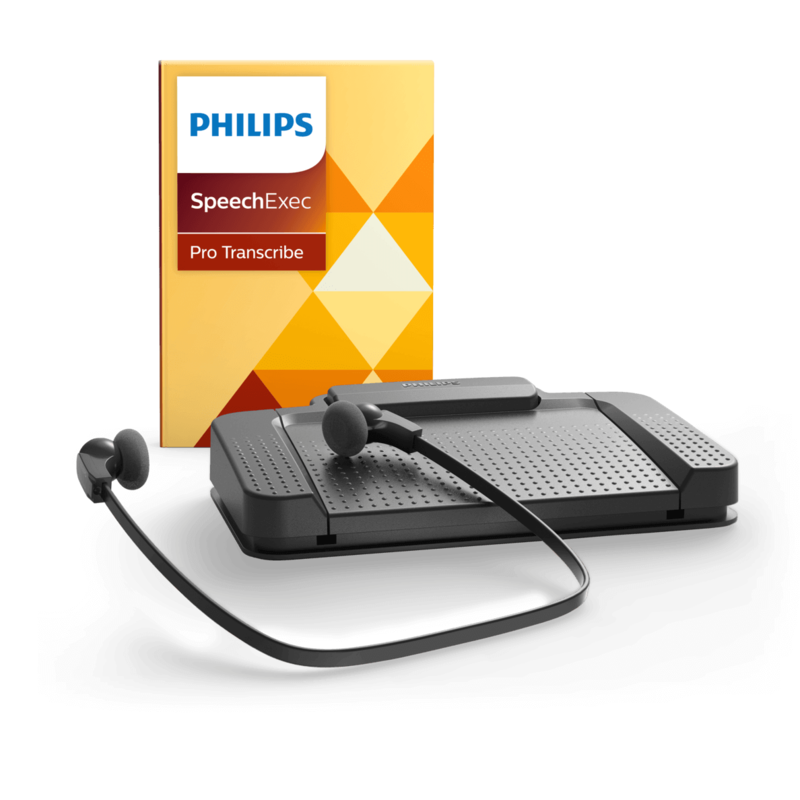 This Digital Transcription Kit is designed specifically with the professional in mind, incorporating SpeechExec Pro workflow software for seamless and efficient data management, ergonomic foot pedal for convenient playback control, and priority settings for getting urgent recordings processed first. Buy now and save $100’s. 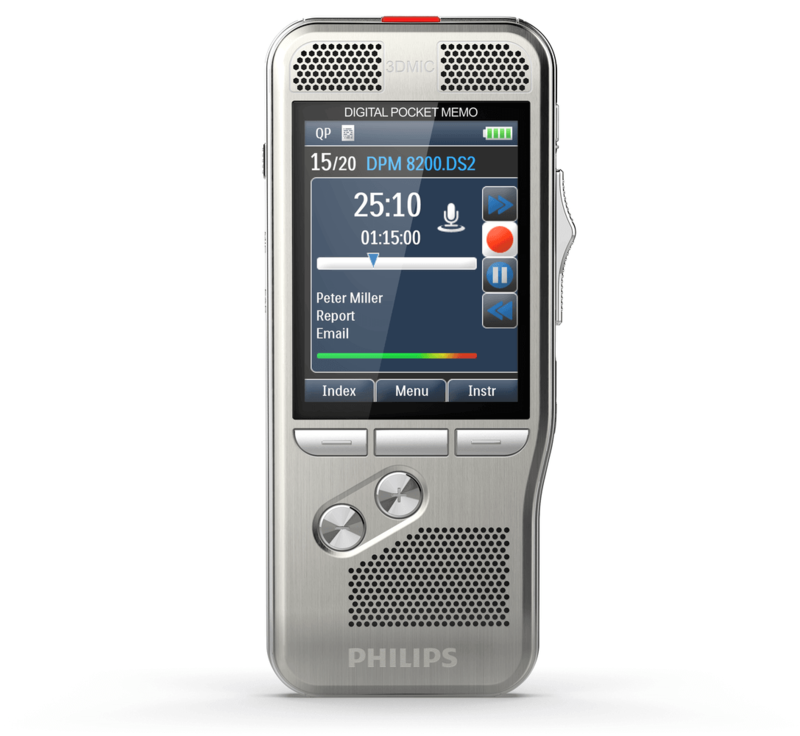 One of the finest dictation and transcription solutions available to professional dictators and transcribers today. 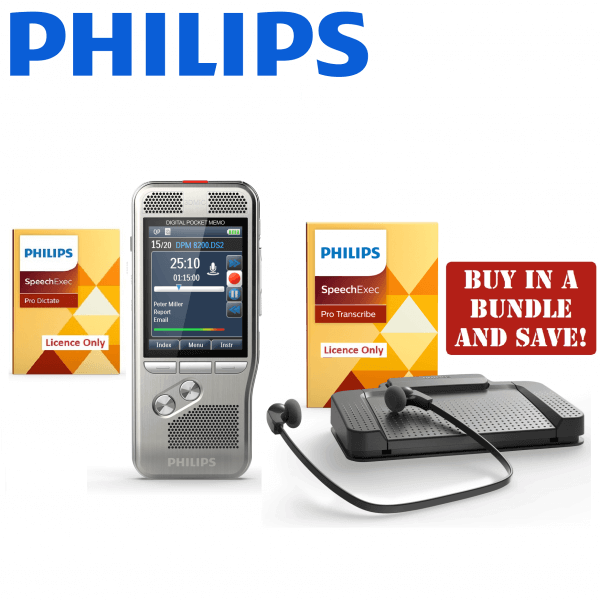 For more information on the individual products, click here for DPM 8000 and here for LFH-7277.